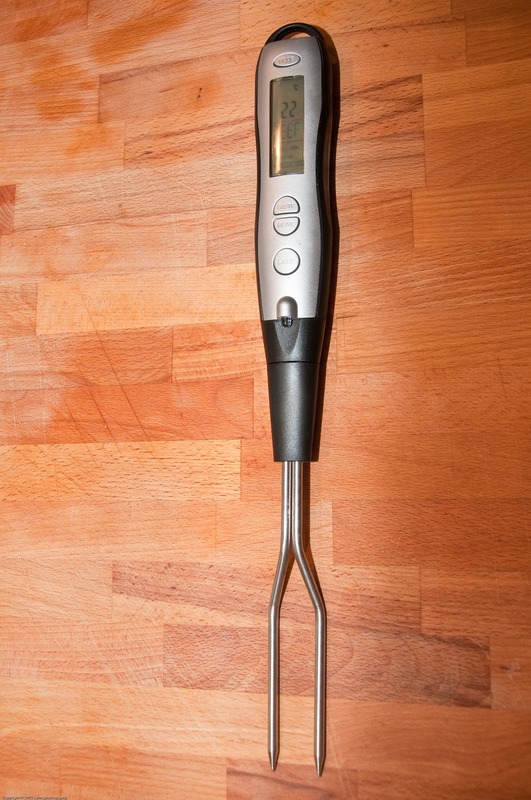 Are you one of those cooks that has every conceivable gadget in their kitchen? I am not though I must admit to having a few which I like. Good knives are a must and here I have more than most which I do my best to keep razor sharp. 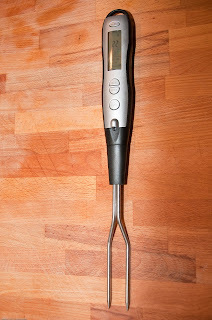 I do have an AEG multi-chef which only gets used about 3 or 4 times a year. The one gadget I swear by is my Kenwood mixer. This has greatly improved my baking and does get used at least once a week. One of the major skills in cooking is I believe the ability to get all the various parts of a meal together at the same time. Yesterday, because of a new gadget I almost got it wrong. I was cooking roast beef with Yorkshire pudding, roast potatoes, roast parsnips and caramelised brussel sprouts! All was going to plan and here I must confess to being a "Delia" fan and more or less doing as she tells it. The mistake I made now was one I would never have done at sea, I relied on and believed a new electronic devise. At sea I never ever relied on my electronic gadgets. They were always nice to have and, yes, they made life easier, but in the back of my mind was always the thought that, "what can go wrong, will go wrong!" So it came to pass during my circumnavigation where I on more than one occasion had to navigate the old way, with compass clock and sextant. While shopping the day before I had made a spontaneous purchase of a Tchibo cooking thermometer. Never having used one before I followed the instructions. I wanted my beef to be pink, that is medium rare. The time for getting my beef out of the oven according to "Delia" passed since the temperature had not been reached. This went on and one until my gut feeling said no. Needless to say the beef was not as ideal as it should have been and the other items were all ready sooner than I allowed my beef to be, even allowing for it's rest period. So the moral of my tale is that even in the kitchen one should never rely upon electronic gadgets, but rely on ones instinct and experience. My experience on the kitchen front has still much to learn. Thank you, I am still learning, but must say, that in the kitchen the learning is always fun. Have a very Merry Christmas.